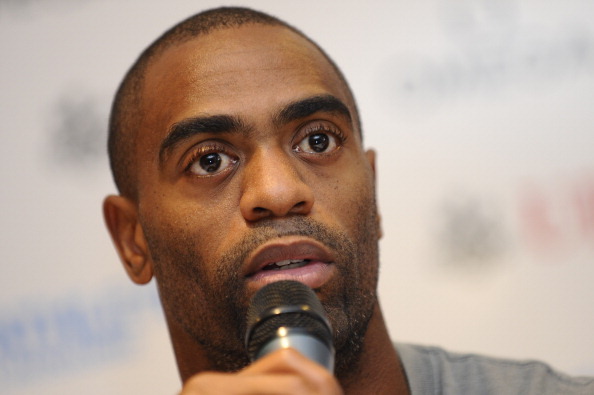 Tyson Gay makes his not-so-long awaited return to the track tomorrow night in Lausanne - where he last competed a year ago before incurring the doping ban which has subsequently, and controversially, been reduced from 24 to 12 months. The 31-year-old American, banned after a positive test for steroids at the 2013 national championships, earned a reduction for what the United States Anti-Doping Agency (USADA) described as "significant assistance" in terms of the background to his offence. The former World 100 and 200 metres champion is, therefore, free to compete in the International Association of Athletics Federations' (IAAF) Diamond League meeting in Switzerland, where he will compete over 100m against a field which includes compatriot Justin Gatlin, the 2004 Olympic champion who was given an eight-year ban in 2006 for a second doping offence, but had the suspension halved in 2008. Soon after Gay's ban reduction, which has been approved by the World Anti-Doping Agency, was announced in May, IAAF vice-president Sebastian Coe questioned the value of his "significant assistance" to USADA. "First of all the IAAF has to look at this case," Coe told Reuters TV. "We haven't had the opportunity to explore it properly. "We would need to know what 'significant assistance' meant. "And it is for our anti-doping teams at our headquarters in Monaco and the anti-doping board to decide if the sanction is appropriate. "This is not just about athletes proving or testing positive, and then once they've tested positive, starting to talk and help agencies. "We would rather the athletes were helping, assist the agencies before they were tested or proven positive. "For me, that's quite important. "We need the co-operation of all athletes, and the most important aspect of testing is to protect the clean athlete." The USADA said Gay's assistance had included "being interviewed on several occasions by USADA and providing all of the products he was using at the time of his positive tests". 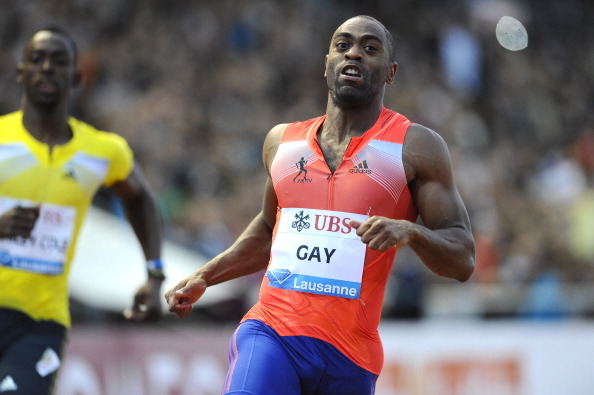 Gay's 100m best of 9.69sec has only been bettered by Jamaica's world record holder Usain Bolt. Six of the field in the men's 100m in Lausanne have run under 10 seconds, with American Michael Rodgers, with 9.85, the next fastest behind Gay and Gatlin. One of the other highlights of the meeting looks likely to be the men's high jump, which involves five men who have cleared 2.40 metres or better in the space of the past six months in an event which is currently the most competitive on the athletics programme. Ukraine's world champion Bohdan Bondarenko takes on Qatar's world indoor champion Mutaz Essa Barshim, Russia's Olympic champion Ivan Ukhov, Commonwealth record-holder Derek Drouin of Canada and 2011 world silver medallist Aleksey Dmitrik of Russia. After their epic competition at the IAAF Diamond League meeting in New York, where both cleared 2.42m, Bondarenko and Barshim appear favourites. Meanwhile, back on the track, Jamaica's former World 100m champion Yohan Blake will be contesting his first 200m race in the Diamond League for almost two years. After missing most of 2013 through injury, the second-fastest sprinter of all time over the distance will be keen to return to sub-20-second territory.